What is Functional Testing Framework(FTF)? What is the need for functional testing? 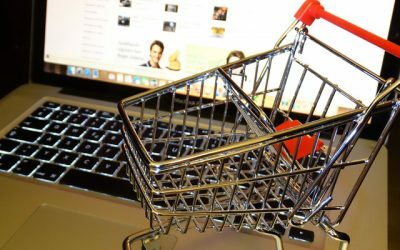 What is Magento Functional Testing Framework (MFTF)? Magento Functional Testing Framework (MFTF) was introduced by Tom Erskine at Mage Test Fest. MFTF has already seen 2 major releases and the latest version available till today is 2.3.12. Before, getting to know about the MFTF (Magento functional Testing framework), we should be aware of the Functional Testing framework. Tests usually cover the functionality of a business entity. The goal is to find discrepancies between expected and real behavior of the entity. 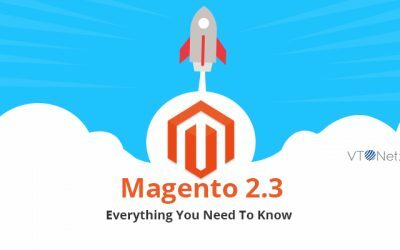 Magento 2 offers a very complex architecture and it becomes very difficult to manually test everything. Also, manual testing can result in human mistakes due to complex flows. Although unit and integration testing can cover the whole code but still don’t guarantee that everything will execute in the same way on different devices and browsers. MFTF is a set of ready-made tests that check if a Magento 2 system functionality runs as expected. MFTF is based on selenium, codeception, allure etc. MFTF tests are written in XML, so, you no longer need to learn PHP to write tests. Merging is the most beneficial feature of MFTF. For example, we add a new field to the existing registration form of Magento website. In the case of unit testing, we need to write test cases again for the complete page but in MFTF, we just need to provide extra attribute details and rest we can use the same test case code from the core. Install the composer on your environment. Please follow the below link to install composer. You need to install Java on your system to run Selenium server. Now install selenium jar file on your instance, which will help you to run MFTF test cases. You can also download the Magento 2.3 from here and just extract it to your localhost directory. After that just hit the Magento directory on your browser and complete the Magento setup. 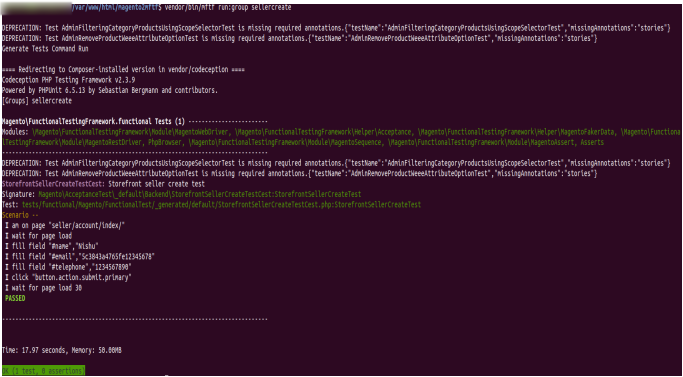 In the [Magento_Root]/dev/tests/acceptance/ directory, edit the .env file to match your system. In the [Magento_Root]/dev/tests/acceptance directory, run the following command to enable the MFTF to send Magento CLI commands to your Magento instance. To run tests, you need a running Selenium server and mftf commands. Run the Selenium server in the terminal. Both selenium jar file and browser driver should be on the same place. In our case, both reside in the Magento root directory. 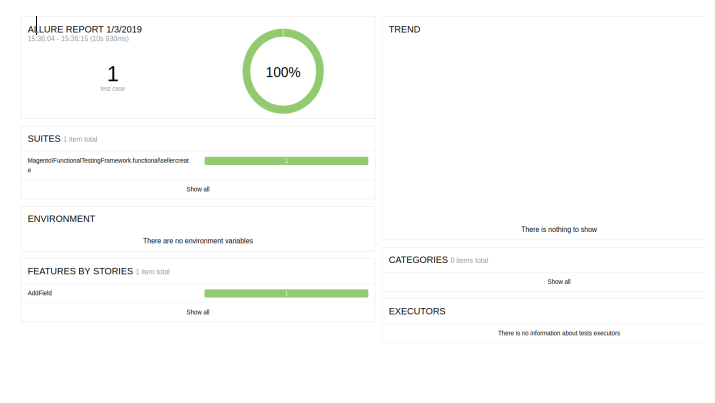 During testing, the MFTF generates test reports in CLI. You can generate visual representations of the report data using Allure Framework. We will put our test cases in this folder. The test cases are nothing but simple XML files each file can contain multiple tests or a single test. Convention says that you should put one test in each file and file name and test name must be the same and the name should follow camel casing. MFTF <tests> is considered a sequence of actions with associated parameters. Inside page folder, we can define pages that will be visited during test case execution. The naming convention of file name and page name must be the same, and the name will be following camel casing and all the names must end with “Page” suffix. 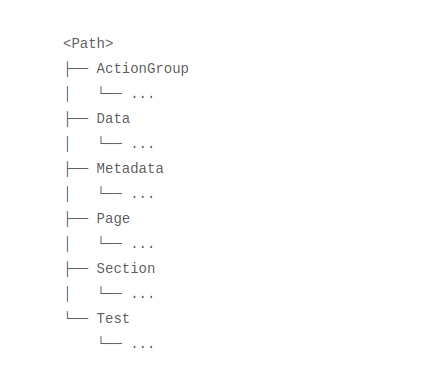 A <section> is a reusable part of a <page> and is the standard file for defining UI elements on a page used in a test. 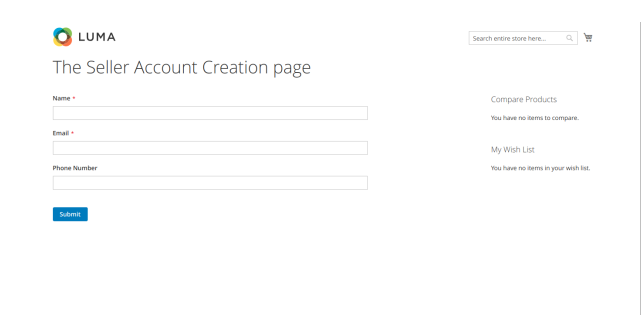 SignUpNewUserFromStorefrontActionGroup in the customer test module. In many test cases, it must require the customer to login or register. Any test case will need some dummy data for completing the test case, like dummy data for a product to test product create flow, dummy data for the customer to test registration and login feature. All the data XML files must end with data suffix. While executing test cases sometimes tester might need some data entities to be created at runtime and used in the test or delete all the created data after the test is complete. This can be done using metadata. You can create operations like create, delete, update, get. After creating, our own MFTF test cases for a custom module, we need to run generate command so that Magento will consider our test cases as well with their own default cases. Magento MFTF enables us to test user interactions with web applications. It helps developers/testers in automating regression testing. Hope the above example, could have added some idea about the new functional testing framework and how it manages everything with XML files and the relation between them. If you have any doubts, please feel free to comment. Facing some issues in your Magento store or looking for a Magento store built from scratch. Request a callback from our Magento certified developers for more details. I think most of places where you have mentioned to run the command from magento root should be from dev/tests/acceptance. Although its trivial detail but for new person it may lead to some annoying errors in console. 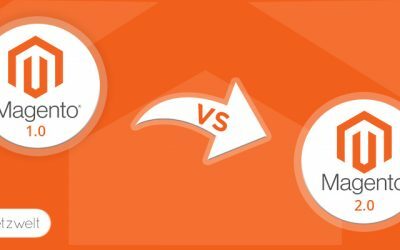 Magento 2 vs Magento 1 – Is the upgrade worth it?